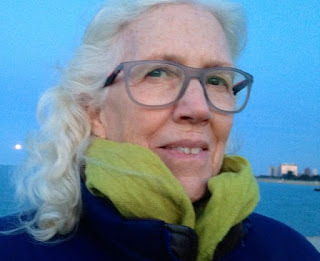 Since 1979, Beverly Serrell has been an exhibit and evaluation consultant with art, history, natural history, and science museums, as well as zoos and aquariums. She previously was head of a museum education department for eight years, and worked as a high school science teacher and a research lab technician. Serrell holds an MA in science teaching in informal settings and a BS in biology. 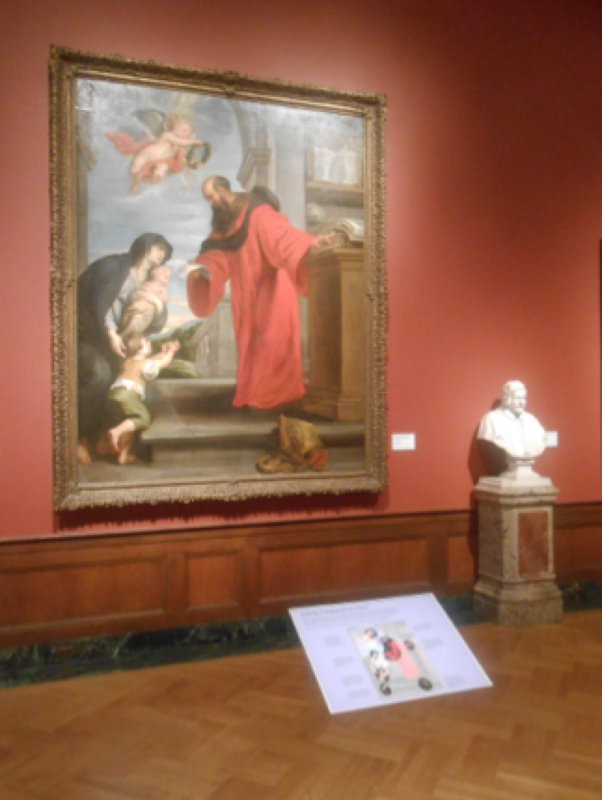 In 1995, she was a guest scholar at The J. Paul Getty Museum and has received two National Science Foundation grants to conduct research on visitor behavior in museum exhibitions. She has been a frequent museum visitor all her life. Paul Orselli: I received a mailing from your publisher about the second edition of “Exhibit Labels: An Interpretive Approach,” and I thought I’d circle around to get your thoughts about it for my blog. But before we talk about the second edition, what inspired you to write the first edition, published in 1996? Beverly Serrell: Actually the first edition of Exhibit Labels was a follow-up on my book published by the Association for State and Local History (AASLH) called “Making Exhibit Labels: A Step-by-Step Approach.” I wrote that in 1983, before I’d ever done much work on exhibition planning and design, although I had a background in museum education. I had a master’s degree in science teaching in non-school settings, and I’d worked as the curator of education at the Shedd Aquarium for eight years. I was in charge of programs, not exhibits. I kept pushing for more interpretive stories in the labels of the Shedd’s galleries, but that wasn’t my job. After the Shedd, I started consulting with the Field Museum and Brookfield Zoo, and all types of museums about ways to increase the effectiveness of museum interpretation, mainly through wall labels. Being young, enthusiastic, and impetuous I thought I would write a book and tell people how to make better labels, since many of the examples I was seeing those days were too long, too small, and not written with an interested novice visitor in mind. That was “Making Exhibit Labels.” For the next ten years I tried to practice what I’d preached and was often humbled by the complexities of the politics, philosophies, economics, and conflicting priorities of exhibition design. In 1995 I got the opportunity to write another book—one that would incorporate more of the issues of planning and evaluation that are critical to good label-writing and expand on the work being done by many of the practitioners and leaders in the museum field who had influenced me, including Steve Bitgood, Minda Borun, Marlene Chambers, John Falk, Ross Loomis, Kathy McLean, Paulette McManus, Roger Miles, Chan Screven, Harris Shettel, and many others. That was “Exhibit Labels,” the first edition. 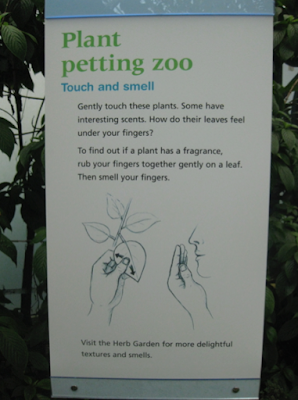 PO: What motivated you to write a second edition of “Exhibit Labels”? BS: The first edition was published by AltaMira Press with Mitch Allen. AltaMira was sold to Rowman & Littlefield, and in the total of 19 years it sold more than 15,000 copies. But sales were down, and R&L wanted a new version under their copyright. R&L approached me in 2010, but I didn’t have the time or interest in doing it then. I was still receiving good feedback on the first edition, especially from museum studies students, young professionals, and practitioners who had to keep buying new copies to replace the one they loaned out and never got back! R&L kept asking me, and even suggested that they publish a second edition using another author, since they owned the copyright. Well, that was motivating. I didn’t think it would take too long, because I believed most of the book still resonated in a very profound way and it just needed some freshening up. Soon, however, I realized that it would be a much bigger project, so I made time and recruited Katherine Whitney to help me. The first edition, for example, had a chapter about “electronic labels and hypermedia.” That was quaint, and the new edition needed to address technology issues in more depth. But the bottom line was that the guidelines for writing were the same (e.g., clarity, brevity, legibility) regardless of the technology. PO: What have been the biggest changes related to exhibition labels between the first and second editions of your books? BS: There have been many changes that have had impacts on exhibitions in general and exhibit labels specifically in the past two decades, such as issues surrounding authority, points of view, voice, diversity of audiences, prototyping and evaluation, and of course, digital technology for exhibit design and production, plus visitors’ use of smart devices. Some of the seemingly new issues turn out to be very much the same as old issues but have new names, such as audience segmentation, experience design, user-testing, or intentionally designed spaces. Often the changes are very subtle, so it is helpful to know the literature and the history of the issues to see how they evolve, build, or shift emphasis rather than being revolutionary or brand new. 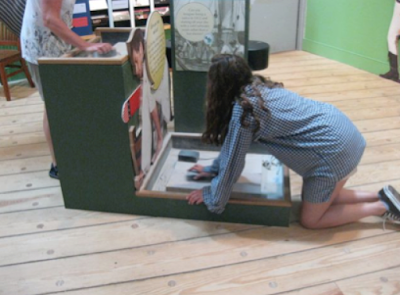 Unfortunately, there are many museums still set in their old ways about authority where curators control the content and design of exhibitions without the input from other staff members who are trained, experienced, and have valuable input. 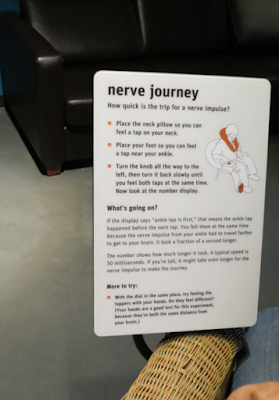 Many institutions still do not use a visitor-centered perspective in their approach to creating engaging, interactive, and personally meaningful exhibits for diverse audiences. The second edition gives more examples of projects and programs with professional collaborations in service of best practices, and keeping visitors part of the equation throughout. PO: What were the biggest changes to the second edition, compared to the first, besides the issues we’ve already talked about? BS: Katherine and I worked very hard to gather photographs of good examples of many types of labels, so there are a lot more pictures in this edition. We pulled together a whole new set of case studies, using the voices and opinions of different experts in the field. We included a few drawings to keep it light—although I’ll say the heft of the new edition was the biggest surprise to me when I finally held the published book in my hand. I knew we’d added a lot, and it feels like it. We dropped the Glossary and Resource sections from the first edition. The glossary didn’t seem necessary to repeat, and the resource section would be out of date in a few years, as it was in the first. People can google these topics. PO: What advice would you have for fellow museum professionals, especially those from smaller museums, in developing labels? BS: The changes we talked about impact small museums as well as large ones, and the advice in “Exhibit Labels” works for all sizes of institutions. In the smaller places, the same person might be wearing the hat of curator, educator and designer, and he or she needs to balance the responsibilities of all those roles for the benefit of the visitor experience. Small institutions might actually find it easier to introduce new ways of meeting visitors’ needs because there are fewer departments to coordinate or convince. Good labels can be developed and produced on small budgets, and small exhibitions are often more thoroughly used by visitors than larger ones. PO: How does “Exhibit Labels” relate to your other books, “Paying Attention” and “Judging Exhibitions”? BS: The second edition of “Labels” puts even more emphasis on the Big Idea: Have a meaningful one and stick to it; let it guide the label writing as well as set boundaries for the amount of interpretive content. Paying Attention was my effort to gather a large amount of data on how visitors use the content in its various forms (e.g., labels, videos, interactives) to inform our expectations. The “excellent judges” project and framework (Judging Exhibitions) gives us a way to discuss the degree to which visitor-centered perspectives are integrated into an exhibition experience. So, I guess I’m asking: What’s the Big Idea? Are visitors paying attention to it? To what extent does the exhibition afford the aspects of a positive educational experience, no matter what the subject? “Exhibit Labels” addresses the ways and means and the critical role of producing excellent labels in support of (rather than interfering with) those positive educational experiences. PO: What are some of your favorite labels? BS: I’ve seen many good examples in all types of museums. We put 100 photos in the book to illustrate the wide range of interpretive labels with well-chosen words and graphics. Here are a few of them. At the Detroit Institute of Arts, every interpretive label or device undergoes thorough visitor-usability testing and is edited with guidelines to appeal to non-art-history students. When I encounter DIA labels in the galleries, I know that the information will be clear, directly related to what I can see, and will leave me feeling more competent about understanding and enjoying art. The USS Constitution Museum has a great family exhibition called “All Hands on Deck.” AHOD was developed with extensive prototyping, and the results show that visitors of all ages are very engaged: Witness this teen at the “Get down on your knees and scrub!” interactive. The labels are written in first person voice and are in a handwritten font. 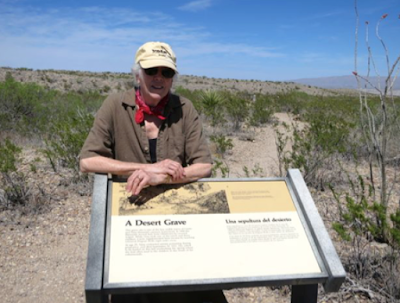 I love the wayside panels at the Big Bend National Park. Very direct, expressive, and bilingual. This one surprised me, because when I visited it for a second time--years after the first time I saw it—it was shorter than I remembered it being. My imagination had filled in many more words than were actually there. The Exploratorium doesn’t shy away from exhibiting complicated phenomena. They also take the time for the trial-and-revision edits it takes to hone the label’s design, instructions and interpretive content to the point that it works well for a majority of users. The Huntington Botanic Gardens has a “Plant Lab” in the conservatory where there are many hands-on interactives with live plants. The panels give instructions and information in clear, easy-to-follow text. and graphics. Nice use of color and very few words. 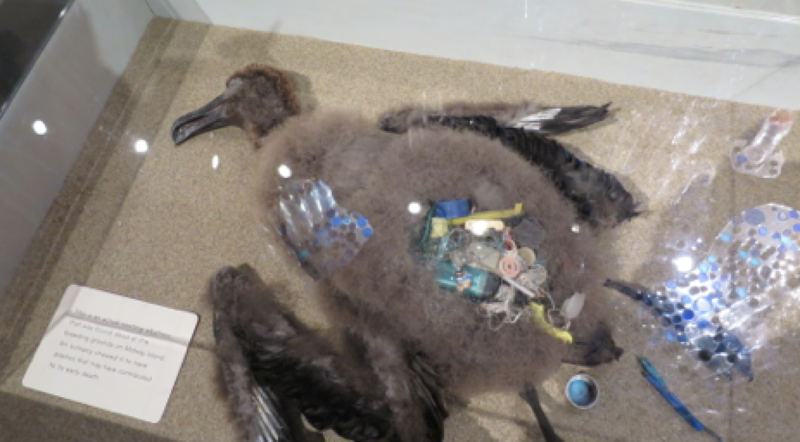 The dead albatross in the ocean section of the Gallery of Natural Sciences at the Oakland Museum of California was an attention-grabbing exhibit that drove home the message about human impacts on the environment. Still, the overall exhibition also communicated a sense of the beauty and value of nature. These were all featured in the second edition of “Labels” but printed in greys. I am pleased to have them reproduced in color here. PO: If money were no object, what would your “dream” exhibit project be? BS: I’d love to work on one that started with adequate discussion about the Big Idea. Followed by front-end and formative evaluation of key elements (e.g., introductory label, all the interactive elements, title), modifying the Big Idea if necessary. Write the labels to be interesting, visually integrated into the design, contextually appropriate, and have just the right number of words. After a soft opening, invite visitors to participate in remedial evaluation, along with the stakeholders. Save some of the budget for remediation and build in inexpensively changeable label content and design. There are always many things you learn about the relative appropriateness of location and context after the exhibition is open that cannot be predicted beforehand! Keeping the design flexible and having the money to make the changes can result with some important improvements in the effectiveness of the exhibits. Saving money and time for thoughtful remediation after opening is probably one of the best uses of your evaluation budget, but how many places plan for it? I have worked in many situations that have some of these features but not all in one project. Thanks again to Beverly for providing her insights about labels and museums to ExhibiTricks readers! To find out more about Beverly and her work, click on over to her website! And now for the FREE Book Giveaway! To be eligible to win one of two copies of Beverly's latest book, Exhibit Labels: An Interpretive Approach, simply subscribe to the ExhibiTricks blog (Just click the "Sign up for Free ExhibiTricks Blog Updates" link on the upper right side of the blog) OR submit a comment or question in the "Comments Section" of the ExhibiTricks blog below. After August 15th, 2015, we will randomly select one new ExhibiTricks subscriber and one ExhibiTricks Commenter to receive copies of Beverly's book! UPDATE: Congrats to Judy Vannais (from the ExhibiTricks subscribers) and Martha Katz-Hyman (from the commenters) for being the winners of the Book Giveaway! You will be receiving your copies shortly.